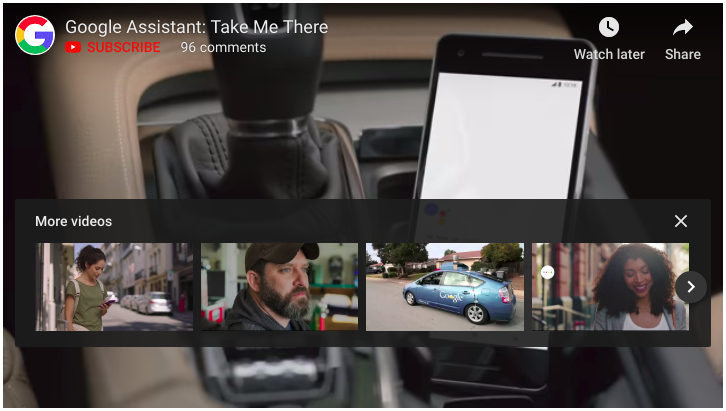 Is there an official way to hide the title and the More videos section from a YouTube embed (latest version as of July 2nd 2018), and just show the YouTube logo bottom-right? I know the embed used to have this ability some time ago. What I'm basically looking for is have the embed auto play with no other elements on it except the mandatory YouTube logo and be able to pause it, but no More videos appear when doing that. So that before clearly says that this does not take effect during the video play. But is there any way to hide the Uploader, Title, Watch Later and Share buttons from the top part of an embed? Also the comment from here is not up to date anymore. This parameter indicates whether the player should show related videos when playback of the initial video ends. So this too doesn't apply when the video is paused. YouTube deprecated parameter showinfo (can no more hide title) and changed parameter rel behavior (will show related videos). Not the answer you're looking for? Browse other questions tagged youtube-api youtube-iframe-api youtubeplayer or ask your own question. How to remove youtube branding after embedding video in web page? Embed a YouTube video to JFrame?